The Honor 8X is a bargain at well under £300 but it doesn't skimp on photo quality or features which is excellent news. It's perfect for those who aren't brand loyal and simply want a good performing phone with a decent camera, good battery life and style at a price that won't have them taking out a small loan. However, for the more discerning photographer, they will still probably prefer the premium offerings from the likes of Huawei, Apple or indeed Samsung. 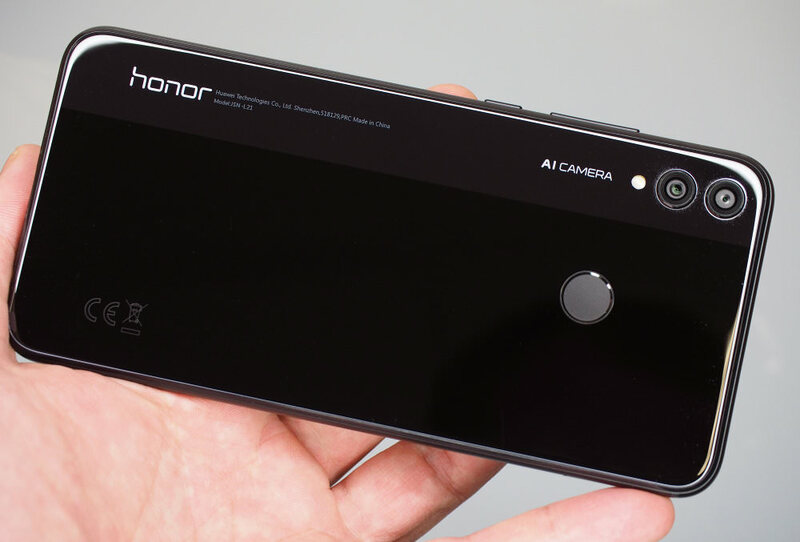 If you don't recognise the Honor brand-name yet, you should, as they're really starting to make a name for themselves in the budget-friendly category of smartphones. 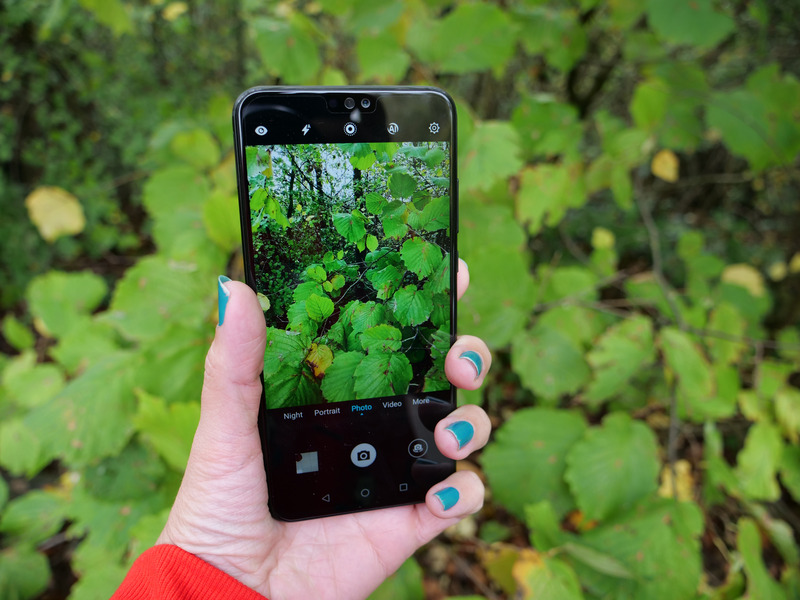 When we say 'budget-friendly', we mean smartphones that are under £300 (they do also have the Honor 10 and Honor View 10 which are slightly over £300) but don't let the price put you off as for such bargain prices, these smartphones do offer a lot of interesting photography features. 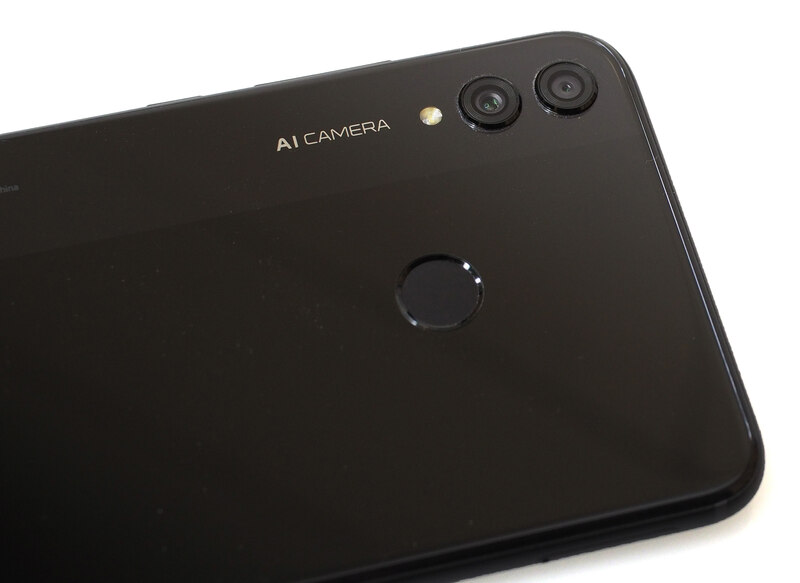 To find out what's new, when compared with the Honor 7X, and to see if the Honor 8X really is a smartphone photographers could happily use, come with us as we put the new Android smartphone to the test. The Honor 8X smartphone has a 6.5-inch Notched FullView Display with a 91% screen-to-body-ratio, 3750mAh battery, 64GB storage, 20MP (+ 2MP, to help with bokeh and background blur) dual AI rear camera and a 16MP selfie camera. The built-in AI can recognise 22 different categories and 500 scenarios in real-time to optimise camera settings and enhance photo quality, and there's also a new night shooting mode which Honor says will eliminate the blurring of photos when taking night shots under a maximum 6-second exposure. For eye comfort, the screen comes equipped with a new generation eye comfort mode certified by TüV Rheinland – a feature that reduces blue light radiation emitted by the screen to prevent eye fatigue. The Honor 8X will record HD, Full HD and Slo-Mo video but not 4K and the phone comes with 64/128GB of storage and 6GB of RAM or 64GB of storage and 4GB of RAM which should be plenty of storage but you can use a MicroSD card if you wish to add more. There's a new 'night shooting mode' which Honor says will eliminate the blurring of photos when taking night shots under a maximum 6-second exposure. The Honor 8X is a big phone but its size is comparable to others available and when I compared it in-hand with my iPhone 8 Plus, it actually felt easier to hold and certainly slimmer. The Honor 8X is slightly bigger than the Honor 7X but the screen-to-body percentage ratio is also bigger, sitting at almost 91%, with a curved boardless design, achieved by wrapping the screen electronics back under the screen on a second layer, framing the screen. There's a small top-notch housing the front-facing camera but it doesn't interfere with viewing (our brains have got used to ignoring them., plus, it can be hidden) and overall, the screen is bright, clear and viewing it outdoors isn't a problem. The screen resolution of 2340p x 1080p is good considering the price point of the phone but it can't match what's on offer from the likes of Huawei and Apple. It does improve on the screen built into the Honor 7X, though, which has a resolution of 2160x1080 and for the price point, the all-screen look is impressive, beating all of its price-point rivals to date. Plus, thanks to the borderless design, the phone can retain the same body size as a 5.5-inch phone, making it easier to grip even though it has a 6.5-inch screen. You can also split the screen into two apps so you can do multiple things at once. As for screen sharpness, it's actually pretty impressive for the amount of cash you'll be spending on the smartphone but colours may seem a little weird, too 'in your face', when you first switch the smartphone on as by default it's set to as 'vivid' mode which seems to exaggerate everything. However, this is easily fixed by switching the colour mode to 'normal' in settings. After doing so, colours do appear accurate. The Honor 8X feels quite weighty but no more so than other smartphones at this price point and definitely not as heavy as, say, the iPhone XS (which is understandable for its price) but it still feels solidly built. As for the overall design, as soon as you pick the Honor 8X up you can just tell it's built really well. The design is lovely with its curved edges, glass design and slightly contrasting strip on the back but it is very easily marked with fingerprints and smudges which is a really annoying but something that occurs on most smartphones nowadays. As the smartphone is constructed from a glass front and back (with aluminium sides), we recommend you purchase a case to protect the smartphone from marks, scratches and, if you do happen to be a bit clumsy, drops. It does come with a screen protector which is more than you get with most smartphones but we can't, as of yet, say how long it'll last. It's also worth noting that the Honor 8X doesn't have an official water resistance score either. On the fingerprint-covered back is the fingerprint sensor for unlocking the device (or you can draw out a pattern on the screen if you prefer) which is easy to find without turning the smartphone over. It's also well out of the way of the dual lenses and built-in flash so you won't get smudgy marks on them. To the side is the usual unlock / power buttons and volume controls and to the bottom, you find the speaker, a headphone jack (some will give Honor bonus points for this) and a MicroUSB socket which is a bit annoying as most other Android phones now use the newer Type-C socket style. The Honor 8X does come with a charging cable but you just have to make sure you don't misplace it as one of the many Type-C cables you have lying around won't fit it. If you're familiar with Huawei or Honor smartphones you'll be pleased to see that the camera app has stayed very much the same as it has been for a while (if it ain't broke, don't fix it - right?) and it's easy to use/navigate (even if you're new to using Honor smartphones). There are a number of different shooting modes available including Photo (auto mode), Pro (where you can control shutter speed, aperture, ISO etc. ), Video, Portrait (where bokeh and beauty effects can be used), Aperture (where you use a slider to open/shut a digital iris), Slow-mo, Panorama, Time-Lapse, Digital Filters, Watermarks, HDR and Light Painting (along with star trails and silky water styles). There's also a new Night Mode which reduces camera shake which usually plagues smartphone photos captured in low light and gives you images with much more detail, too. Flash is built in along with a moving picture mode and AI makes an appearance, once again, recognising 22 different categories and 500 scenarios to help you take a better photo with not too much effort. You can also use AI algorithms (new to the Honor 8X, the Honor 7X didn't have this feature) to shoot 4 different studio-style portraits - soft light, butterfly light, split light and stage lighting. 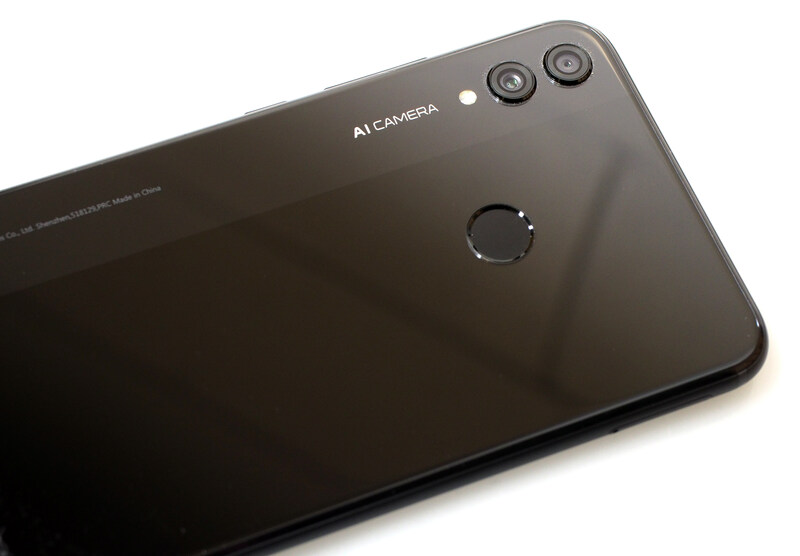 The rear dual-camera captures images with up to 20MP resolution (4MPs more than the Honor 7X), has an f/1.8 aperture to help with those low light shots and Phase Detection Auto Focus (PDAF) for quicker focus. 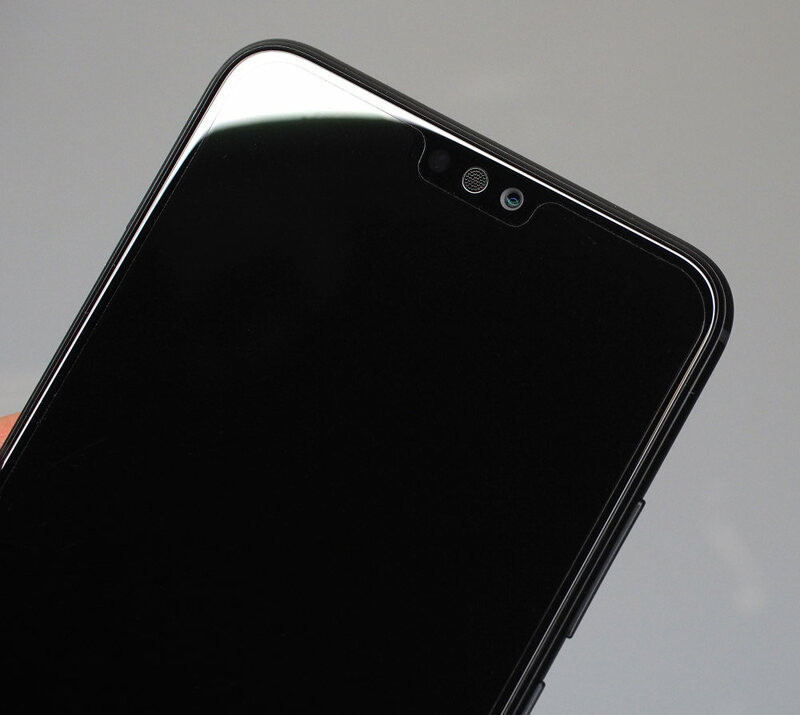 On the front is a 16MP camera (8MPs more than the Honor 7X) and bokeh/beauty effects can be applied when taking selfies along with the bunny ears and glasses you can choose to put on your face, so you should wish. The camera app has gesture control, which means you can take photos by waving at the front camera, and there's also smile capture but we didn't have much joy when using them and found it easier to just tap the shutter button. Battery Life – With a 3750mAh battery built in, you may think it won't last a day but you'll probably be surprised as even after shooting video, uploading to Youtube, taking photos and general use, there was still a bit of battery left at the end of the day. As mentioned, the Honor 8X uses a MicroUSB for charging which is a bit annoying but it is compatible with fast charging. For those of you who like numbers, AnTuTu benchmark gives the Honor 8X a score of 140566 which is impressive for a budget-friendly smartphone and is about what you got from a premium smartphone from a couple of years ago. why are you doing a review of the 8 saying its the latest but its not as they have the 9 and the 10. 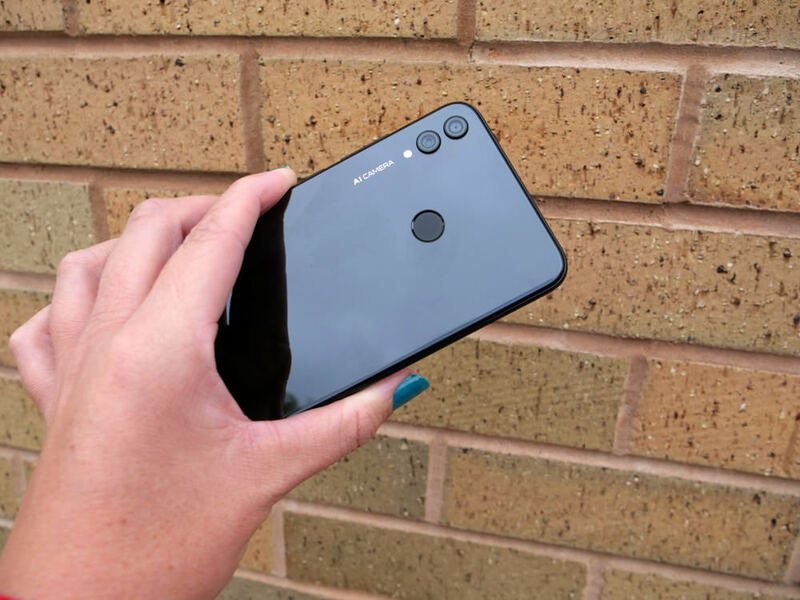 [quote]why are you doing a review of the 8 saying its the latest but its not as they have the 9 and the 10. you can now get the 10 at carphone warehouse[/quote] The Honor 8X was announced on 11 Oct 2018 - hence it's the latest device to come from the Honor range. The 10 was released in May 2018 and the 9 was released June 2017. Quote:why are you doing a review of the 8 saying its the latest but its not as they have the 9 and the 10. The Honor 8X was announced on 11 Oct 2018 - hence it's the latest device to come from the Honor range. The 10 was released in May 2018 and the 9 was released June 2017.